Gareth Noble heads up the Children’s Law Department with KOD Lyons. He spoke at ICCL’s event Rights-based policing: Visions from the Community on 18 July 2018. I want to offer some observations having practised in the Children’s Court since 2008. I don’t come with any statistics or studies but with the experiences I have had in representing and assisting children, not just in the criminal justice system but also in the care system. I decided as part of gathering my thoughts that I would conduct my own informal focus group with young people I have met over the last two weeks. This was an informative exercise from my perspective, in that the children I had acted for in the criminal justice system had a number of interesting observations. They totally get why we need a police service. The whole concept of policing is not an alien concept to many young people. But when we go on to the experiences with An Garda Síochána that they have had, on the whole it is pretty negative. And I think it is also really important that when I probed them in relation to that, a number were able to identify individual members of the Gardaí who they had positive experiences with, and it is important to acknowledge that. They were all able to give examples of positive interactions they had. But on the whole, whilst accepting they had some positive experiences, their experiences were negative. I then decided, maybe I am getting a skewed view so I’ll talk to children in the care system. There were remarkable similarities with children in the care system in relation to that as well. I then decided to investigate a third category. I do a lot of work with children with autism and their families, so I contacted and spoke to young people. Their experiences of seeking out the assistance of Gardaí or interacting with them was on the whole negative. They were able to distinguish – I spoke to a 15 year old boy on the autism spectrum who was succinct in what he had to say – but he would distinguish between whether or not if he had made a complaint to the Gardaí it would be treated differently to if his mother or father had. There was an overwhelming sense of not being heard and listened to. It’s such a pity because An Garda Síochána was created with the community policing style in mind. We know that from its inception as an unarmed police force the emphasis was on the goodwill of people and their moral support. But there is still huge work to be done in relation to gaining young people’s confidence. How does that manifest in the Children’s Court? Well, a huge number of charges come before court – this is totally anecdotal – regarding the aftermath of stop and search provisions being invoked. In a huge proportion of those cases, children are subjected to drug searches and a Garda cannot stop a child or any person unless they have reasonable cause to suspect that they are in some way infringing the law. A huge number of prosecutions before the Children’s Court are in respect of obstructing searches, and I would venture to say that there are way more prosecutions regarding obstructing, than regarding what the result of the search is. A huge number of searches take place where no drugs are found. A huge number of charges are in respect of obstructing drug searches, and we need a conversation about why that is. Another bugbear that young people have is that when they are out with their friends they are seen as troublemakers. They see the official attitude as being that they’re out to do no good. I have lost count of the number of prosecutions that are dismissed in the Children’s Court regarding section 8 of the Public Order Act. 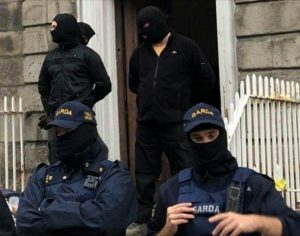 Under section 8 a Garda is permitted in certain circumstances to ask a person to leave an area for a particular reason, and failure to leave the area constitutes the criminal offence. But in order to ground a prosecution under section 8 you also have to show the person is guilty of another offence under the Public Order Act – whether intoxication, indecency, abusive or insulting behaviour, and so on. It is not a standalone charge. 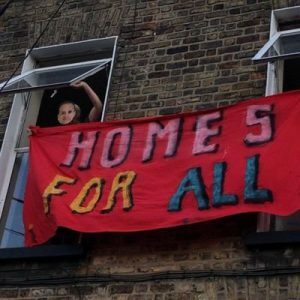 The number of prosecutions brought where it is section 8 and you say to the Garda, ‘What other aspect of the Public Order Act was being infringed?’ – and the number of Gardaí who don’t know they don’t have the power to simply say ‘move on’ – has astonished me over the years. 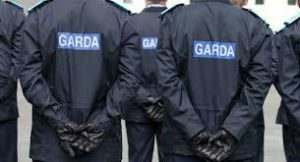 In terms of children’s attitudes to the Gardaí, it would be unfair to say and unhelpful to say that there is a particular problem with An Garda Síochána as an organisation, because children’s experiences of other state agencies would reflect the same view – for example TUSLA. All of the state agencies and organisations have much work to do. I have assisted Gardaí to train – in terms of the Case Management Programme and the Youth Diversion Project. At all those sessions Gardaí say ‘We don’t need more laws or powers, we need more resources.’ The Gardaí who sign up for those programmes – the case management programme and the diversion project – all talk about the lack of training they have in respect of general interactions with young people specifically. We know, for example, with children with autism – a huge number of children come before the Children’s Court on public order charges, and Gardaí may not be aware that the child has a diagnosis of being on the autism spectrum so their ability to address appropriately moments of pressure can be somewhat compromised. If there was more insight and training about addressing young people with those specific additional needs we would have more awareness. And I have discussed this with Gardaí on a number of occasions. We need to ensure that Gardaí don’t look at children as mini adults but as a particular section of society that require support – a child’s brain is wired so they do not on some occasions make the most rational decisions about moving on or submitting to a search. Finally regarding the wider agencies: Section 8 of the Child and Family Agency Act laid emphasis on enhanced co-operation between state agencies. I don’t see any evidence of that, whether I’m looking at children in care or the criminal justice system. The organisations still looking at each other. Gardaí are still expected to be social workers at weekends and after 5pm, and it’s not fair on Gardaí to expect them to carry out those functions. The Garda Diversion Project resources were slashed during the recession, and I hope will be restored. In terms of the Policing Authority and GSOC, children with complaints about Garda behaviour find the GSOC website very difficult to navigate, and it would be helpful – if we’re having a conversation about how all agencies communicate with children – it would be great to see a section on the GSOC website that speaks to children about how to progress complaints. There is again that feeling of not being heard, not being listened to and the sense that ‘adults will be taken seriously, we won’t’. On a positive note, everyone knows we have had huge challenges. But with every crisis comes great opportunity. Let’s put services for young people and people with additional needs at the heart of the debate. Let’s design a police service that goes back to its roots – a community-based service that sees young people as future adults and future good citizens, rather than as people to be treated with caution and suspicion, which is often unfounded.